What do you bring on your journey in terms of first-aid kit and medication? And what about health insurance? Here’s what we have been doing over the years. Before our journey I was not only afraid of hospitals outside Europe, I was just as ignorant on the subject of medicines. I consulted my family doctor, who had experience in working in the tropics of Africa. We not only talked about vaccinations but also on what I should take with me in a first-aid kit. There must have been 15-20 items in the box. At the time having all this gave me a feeling of security, and I don’t regret having invested in all those medicines. But our first-aid kit but no longer contains all those medicines. As dates expired I threw them out and didn’t buy new ones. During those years on the road we learned a thing or two and, as a result, we don’t carry anything anymore except for some aspirin and paracetamol plus one treatment of malaria prophylaxis in terms of medication. The thing is: people are sick all over the world and in the 30+ countries we traveled, we found pharmacies. Before this journey I was under the impression that there was no decent health care outside Europe. On many occasions we’ve been proven wrong – fortunately, so. The reason so many people outside the Western world die instead of getting treated properly is that (often) they can’t afford it or it’s inaccessible due to geography (remoteness of the region). This, of course, is a tragedy, a shame even, beyond words. We are by no means rich but we are in the fortunate position that we can afford medicines and decent treatment in proper hospitals in case our health insurance doesn’t cover it. We can fly to another country, if necessary, to get help there (what happened when my malaria couldn’t be properly treated in Tibet; read more about that here). And I have the luxury of having been able to let go worrying about medication. There have been pharmacies in all cities in all countries we’ve crossed. Most have an enormous supply of medications, which at least include basic stuff like antibiotics and medication for diarrhea and such. Do take note that especially in Southeast Asia there are a lot of fake medicines (including malaria treatments) so make sure you buy your supplies at a reliable pharmacy. 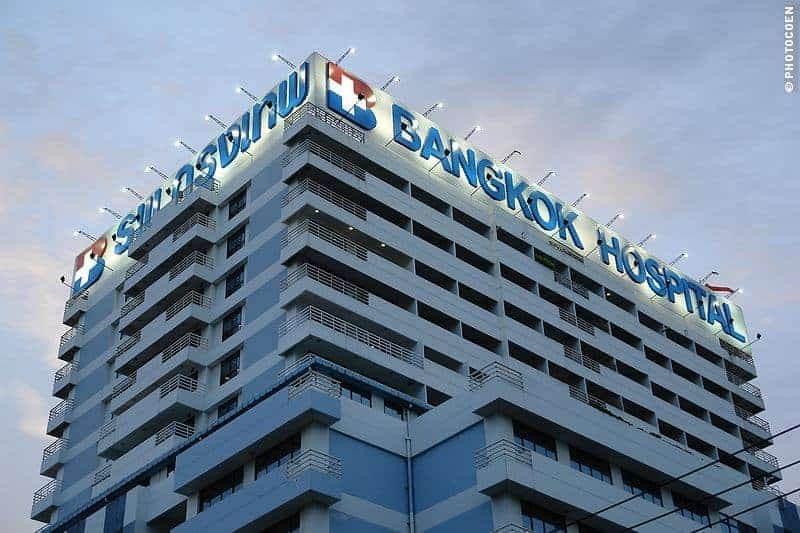 In Bangkok I bought medicines in a hospital instead. I have asked around a lot here, in different countries, and I am under the impression that the bogus medicine business hasn’t infiltrated South America and that pharmacies are reliable (do check expiration dates though). Having said all that, we haven’t been to Africa or Central Asia so we can’t say anything about availabilities in those regions. Which brings me to paying for it. We have a health insurance with world coverage. Since this is a Dutch system, it is useless to discuss it here, but to me this is a necessity whether you travel or not: a proper medical coverage. How to Make Health Insurance a Bad Bet? by Leo Babauta is food for thought on the subject. Christophe Noel of Expedition Overland dug deep into the subject and wrote this detailed overview with pluses and minuses of what he found. Insights of two long-term travelers. As I have a medical condition that could land me in a hospital any given time, I asked my family doctor to write a letter in English – including Latin terms – to describe my the condition + the treatment I’ve had for it. Especially the Latin terminology may be useful as English isn’t spoken everywhere. What are your experiences using a first-aid kit and bringing medication on the road? We’d like to hear your ideas on the subject. Please share them with us in the comments below so other travelers may benefit from them. Thanks. Can you tell me what the Health Cover you have is? My wife and I are also Dutch, but our health insurance only covers us for 60 days outside the EU, and we are about to overland from Amsterdam to Australia in our Land Rover. We have been looking at an English firm which will cover us world-wide for a year, but Dutch coverage is so much better! If we can get it, we will.